We all know baseball is a global sport, and for John Tumminia, the process of further bringing baseball to all parts of the globe has just begun. 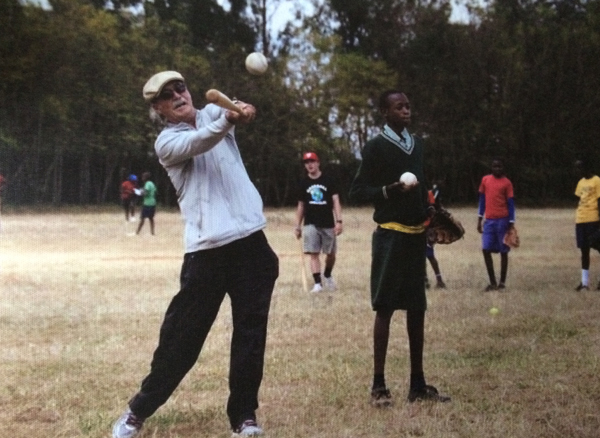 Tumminia, a professional scout for the Chicago White Sox for the past 30 years, is the founder of the non-profit organization, Baseball Miracles, which introduces baseball and softball to economically disadvantaged children around the globe. Baseball has been a way of life for Tumminia, who played in Brooklyn’s Ty Cobb Sandlot League while attending St. Frances de Chantal School, Borough Park. He went on to star at St. John’s Prep, Bedford-Stuyvesant, where he earned All-City honors his senior year. After receiving a full athletic scholarship under head coach Jim McElroy, he became a Terriers Hall of Fame center fielder from 1971 to 1974 at St. Francis College, Brooklyn Heights. Tumminia broke into scouting while working as a recreational director for the Department of Corrections in Newburgh, N.Y. He held two full-time jobs and was able to advance through the scouting ranks, eventually becoming the East Coast regional supervisor for the White Sox – a territory that includes Eastern Canada to the Dominican Republic. A member of the Professional Baseball Scouts Hall of Fame, Tumminia retired from the Department of Corrections eight years ago and realized he would have much more free time than normal, especially during the baseball offseason. With the support of his wife Susan and daughters Brooke and Tyler, he founded Baseball Miracles five years ago as a way to serve the poor. It started as three people giving free baseball clinics but has since evolved to 19 dedicated volunteer instructors. Pittsburgh Pirates manager Clint Hurdle serves on the advisory board. The purpose of the organization is to follow the twofold commandment of loving God and loving thy neighbor. Teaching the basic fundamentals of baseball has thus taken on a spiritual component. “I really believe that it is centered around the Eucharist and what the Eucharist does without us even knowing about it,” Tumminia said. So far, clinics have been held in New York, Kentucky, South Dakota, Ireland, Kenya, Honduras, a First Nations reservation in Canada and two in South Africa. Upcoming 2017 clinics include New Orleans and Argentina, and the goal is for 2018 clinics in Ethiopia and the South Bronx. Tumminia has a unique way of choosing what will be the next stop. “I have a little globe and I point to it and say maybe this is where we should go,” he said. The goal is for every child at a particular clinic to receive a baseball glove and a ball. Through its OneGlove program, Baseball Miracles is seeking donations of one glove from every Little League in America to then be distributed among clinic participants. Children also receive a personalized baseball card from their time in the clinic. Even with spring training on the horizon, Tumminia’s foundation is working non-stop to continue this baseball adventure, with several local clinics set for the near future in upstate New York. Just like a baseball team in the midst of a hot streak, Baseball Miracles has plenty of momentum right now and hopes to ride the wave throughout the new year and beyond.